Designs of functional screw sections combinations of Protein twin screw extruder control technical parameters automatically and accurately when processing. 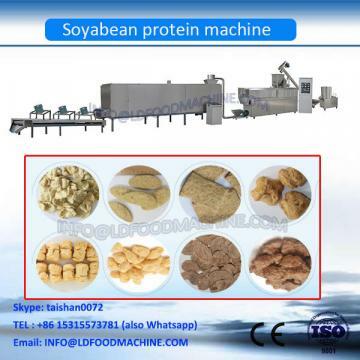 The production line uses low-temperature soybean, isolated soy protein, wheat gluten etc as raw material. 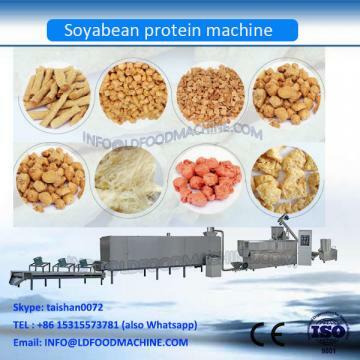 It not only can produce textured protein food with some intensity and tenacity, but also can produce fibre protein with higher intensity and higher tenacity with various shapes and sizes, such as: cylinder, chunck, sheet, strips, pellets etc. The production technology makes it to be possible to produce high quality textures /fibre protein. 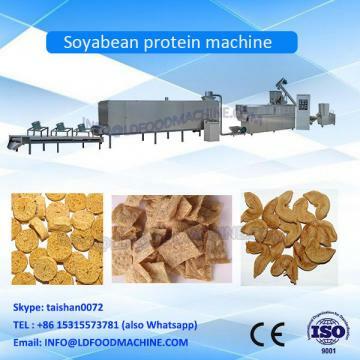 textured or fibre protein food,pet food,aquatic feed,modified starch,bread crumbs and other tissue protein food processing line/vegetarian meat chunks machine.